Why is Snow White Given That Snowflakes are Clear? 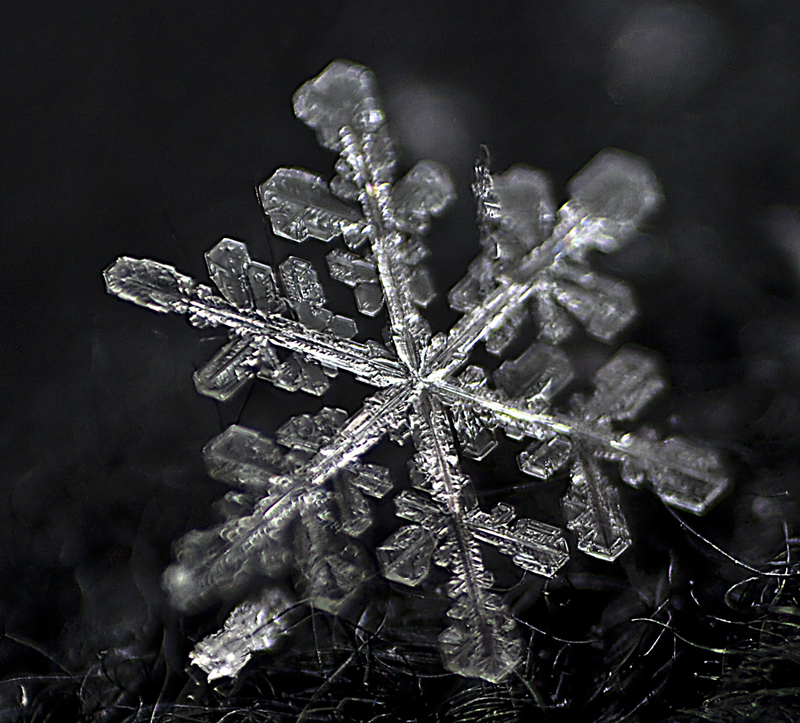 Scott S. asks: When you look at pictures of individual snowflakes, the snowflakes are clear. I was just wondering why is snow white and not clear then? First, it’s important to understand what’s going on when we see certain colors. Visible light from the Sun or other light source comes in a variety of wavelengths that human eyes interpret as colors. When light interacts with an object, the wavelengths that the object reflects or absorbs determines what color our eyes perceive. When an object reflects all the wavelengths of light from the Sun that are in the visible spectrum, the object appears white. Something like a fire truck appears red because the paint reflects back certain wavelengths in the red area of the visible spectrum, while absorbing the rest. Contrary to popular belief, if you were to view the Sun from space (and wouldn’t damage your eyes in the process), you’d see that the Sun looks white in the human visible spectrum, not yellow as it looks when looking at it from the surface of the Earth. You can learn more about this here. The famous Iditarod Dog Sled Race only allows Northern breeds, such as Siberian Huskies and Alaskan Malamutes, to participate, a rule that came about after a competitor entered the race with poodles who ultimately didn’t handle the conditions very well. This rule protects dogs who were not bred to handle the extreme cold weather experienced during the race. Why Is Snow White, But Ice Clear? Ask a science teacher: Why is snow white, and where does its color go when the snow melts? Why is snow “white” but ice cubes are colorless? Both are frozen water? Why is water clear but when it freezes it is often white, as in snow? Why does snow look white? So— at least in theory. Lacking any impurities in the atmosphere does pure white reflect all colors equally and pure black absorb or reflect back none? In the case of black would that make an object transparent or invisible to the human eye? Not seeing color would there not be any shape to discern? First guess is that there is no such thing as pure white, black, or possibly any other color. Close to correct or all wet? White is when an object reflects all color equally. Black is when an object absorbs the colors and doesn’t reflect them. Black isn’t transparent or invisible. Transparent or invisible is the same thing. Its when an object allows light to travel through it. If you don’t see in color then you see in shades of black and white. Your brain doesn’t turn the information of how much light is being reflected or absorbed into visible colors it turns it into shades of black and white. So you discern shapes by seeing the difference of how much light is absorbed or reflected by the object but you don’t process that data into colors. And yes there is a purity of every color although it is rare to see that pure color in nature. All wet.